Author and Lip Sync Battle host Chrissy Teigen, musician John Legend and their children two-year-old Luna and three-month-old Miles are having an enviably long holiday in Bali, and Chrissy’s latest Instagram story proves just how settled-in they are. So. In this just-shared image and series of clips, Chrissy is reclining with her favourite pore strips (hello Biore! ), capturing herself from an angle we rarely see. 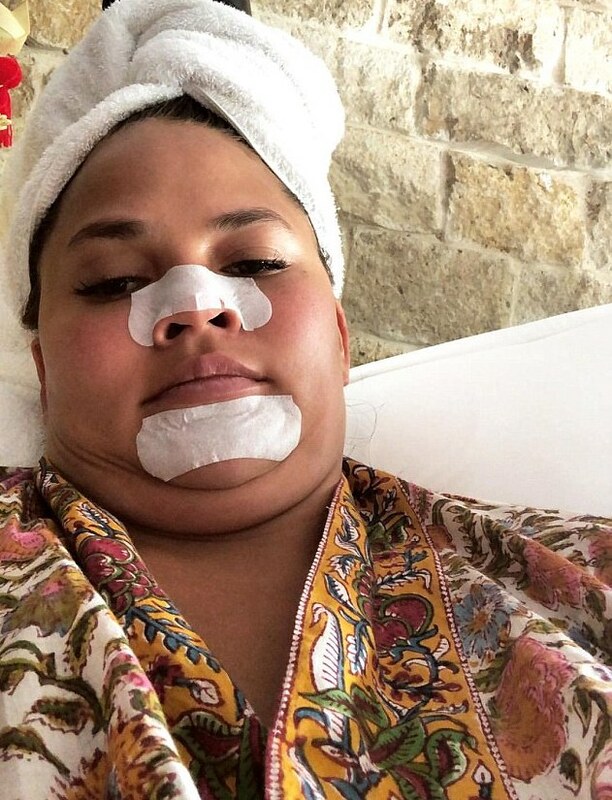 Talking us through her nose and chin strip application and removal process, Chrissy serves us the beauty tutorial we didn’t know we needed. With a side of Silence of the Lambs. “I like to pull these off slowly and then tilt them towards the light so I can see each little mountain,” Chrissy bleats slowly. “Each tiny mountain and then I like to take my finger and brush the blackheads to the side, so I can see their length,” she continues. I think we’ve all been here, or at least have experienced our own version of “did that really come out of my body” in some form or another. We applaud Chrissy for speaking her truth. You can watch Chrissy’s story here.